In a rare local endorsement, California Gov. 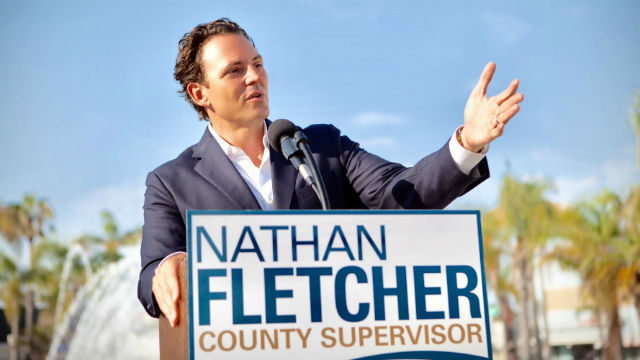 Jerry Brown on Monday announced his support for former assemblyman and San Diego mayoral candidate Nathan Fletcher for county supervisor. While in the state Assembly, Fletcher worked closely with Brown on a variety of legislation, including the implementation of Chelsea’s Law, the landmark public safety legislation Fletcher authored to strengthen penalties for violent crimes against children. Fletcher, a Marine combat veteran, is the Democratic Party’s endorsed candidate for county supervisor in San Diego County’s 4th District. The district covers most of the City of San Diego and is currently represented by Ron Roberts, who is termed out. He faces Republican Bonnie Dumanis, the former district attorney, and attorney Omar Passons.